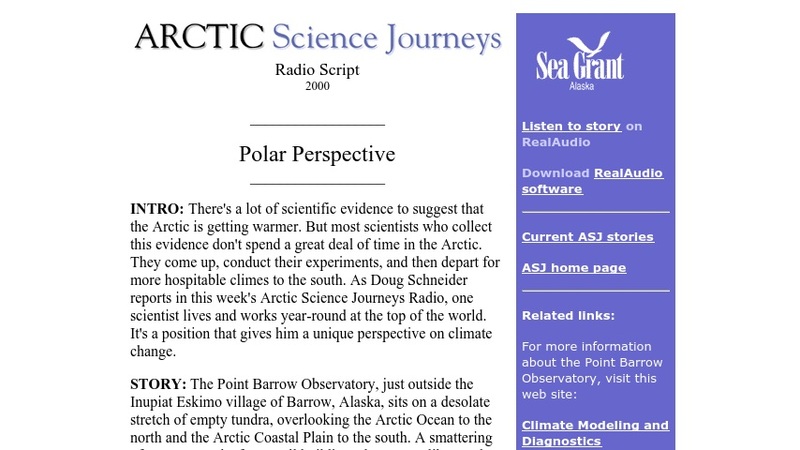 This radio broadcast reports on the Point Barrow Observatory, just outside the Inupiat Eskimo village of Barrow, Alaska, and one scientist who lives and works year-round monitoring climate change in Northern Alaska. The discussion from the year 2000 covers how winters have become milder and how average temperatures are rising. The clip is 2 minutes and 30 seconds in length.